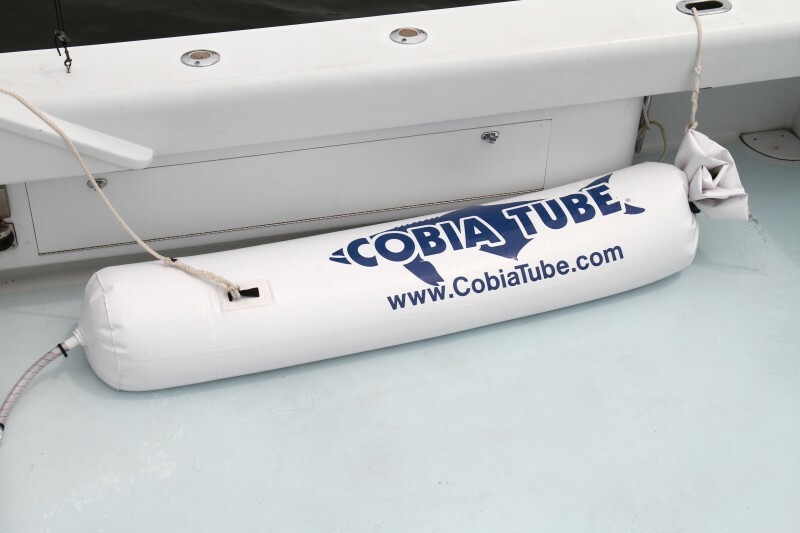 Initially designed and tested for Cobia Release Tournaments, the COBIA TUBE is now available to all anglers world wide. Simply connect the COBIA TUBE to a saltwater wash-down pump, and any Cobia caught and netted alive can be kept alive for extended periods of time just as Bass and Redfish can be maintained in conventional live wells. Boats must be equipped with a functioning wash down or live well pump, a cockpit hose bib connection and have overboard deck drains or automatic bilge pumps to discharge seawater that outflows the COBIA TUBE during normal operation. Each Tube is shipped fully assembled and ready for use. *When fully inflated with seawater the Regular Cobia Tube weights approximately 200lbs and the Large Cobia Tube weights approximately 300lbs. Two sizes are offered to allow boat owners the option of using the Regular Tube for most applications and reduced weight but for tournaments and trophy size fish the Large Tube will accommodate even world record class fish.